Gotta say. Loving my 3d-Printer! Been printing some buildings for play, and they be looking SWEET! We are truly in a terrain/city-building golden age. Woo! FedEx says my printer is in Kansas City, heading this way. Only half the country to go! I'll let you know as soon as I do! Huh, that Repair Bay looks a LOT like the ones from MechCommander/MCGold. Sounds like it could be a Creality then. 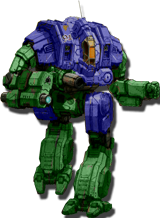 Anyone know of any files for the little detail bits like Dropzone Commander sells as resin that are like AC units, AC duct, roof fans and other things? I have been trying to find some 3D printed detail bits to put on home-made buildings to improve their look & level of detail. For anyone looking to convert Building sizes to Levels to print sizes I made this up to help my calculations. Note, that this is especially useful for Hexless terrain/Alpha Strike type terrain. Also good for those Larger HEX scales (I personally use a 1.75" Hex For gaming. Huh, no wonder I did not see much with model railroads, I left out the underscore on that site. Not quite what I was looking for, but it does have a few items. 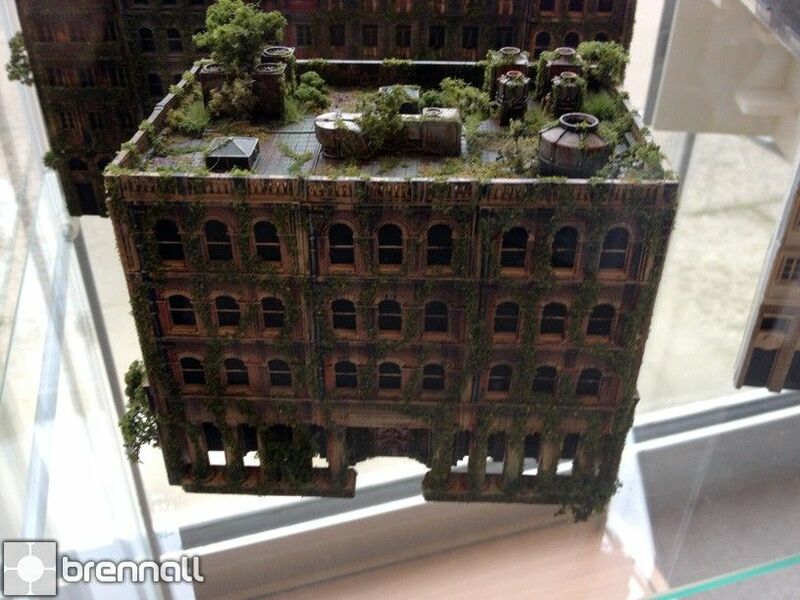 You can kind of see the rooftop stuff I was referring to in those pictures. I know some folks have also made files for reliefs on the front of buildings for ledges and other details that add depth to the building. I have a CR-10 mini and it printed with ease. Woo! It showed up today, though I'm going to wait to unbox it until my wife gets home from work. The outside says "Ender-3 Pro", and "Shenzhen Creality 3D Technology Co., LTD."
Two blobs later, it's a dog! My wife dialed in whatever it was, and the third time was the charm... now she's going to try something more ambitious (she Kickstarted Fat Dragon Games a couple of times, and has been waiting for the chance ever since...). The first two skeletons came out pretty good. We used the free roll of feed stock that came in the box, but they're really not bad at all. Fat Dragon has a youtube video about printing miniatures and using Cura. They have some settings you can get a profile for. I used them and tweaked them a bit for my cr20 pro and they have been fantastic. I'm pretty sure she watched it, and we've been printing like crazy. One particular piece gave us trouble (a well roof), but once we told it to give it a base, it stayed put on the platform. That has been my experience too. Printing with a brim or skirt has been a struggle. I put a raft under it and it prints beautifully. I tried hairspray on the magnetic print bed and that was not great. This prints in amazing detail, but prints with photosensitive Resin, so the smell factor is much higher. Yes, I use this to print some mechs and such, and as a result, won;t show pics of those. I found that the roller for my bed may be loose. I will check that and see if that help my brim and skirt printing situation. 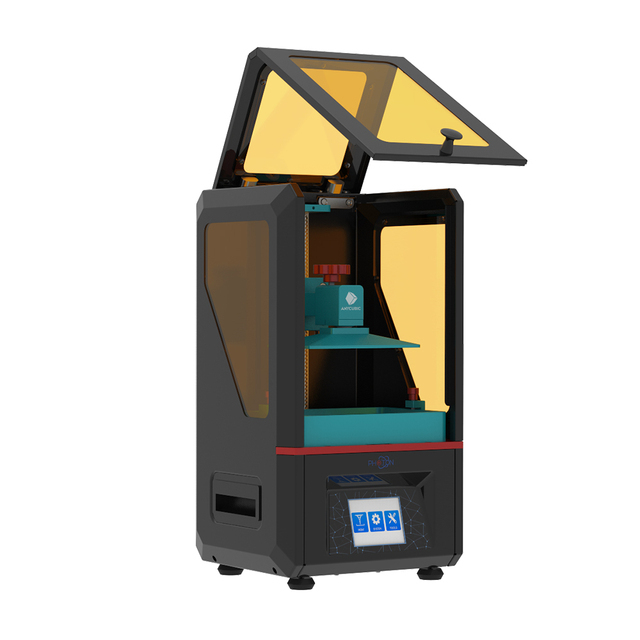 Hey guys, hope you don't mind a quick threadjack, but I wanted to ask if you could tell me which printer you would recommend - the Anycubic Photon or the Creality CR-10s, as those are the two printers I'm looking at buying for my first ever 3D printer. I'd like to print hex terrain and buildings, as well as MWO mech minis and maybe some small D&D tabletop minis as well. 1. Incoming fire has the right of way. 2. The only thing more accurate than incoming enemy fire is incoming friendly fire. 3. Always remember that your weapon was built by the lowest bidder. Not familiar with either of those specific models, but I'll say given my experience with the Ender-3 Pro from Creality, if you can get something with automatic bed levelling, GET IT! I have both. The Crealty CR10-s is my go to for Larger Models and buildings. The Photon is excellent for the extemely close details needed for the printing of minis with good detail. Below see two buildings I printed up on the CR-10s. Spitballing priorities, I would probably recommend that if one is going for a single printer, get the one that's better at miniature detail. 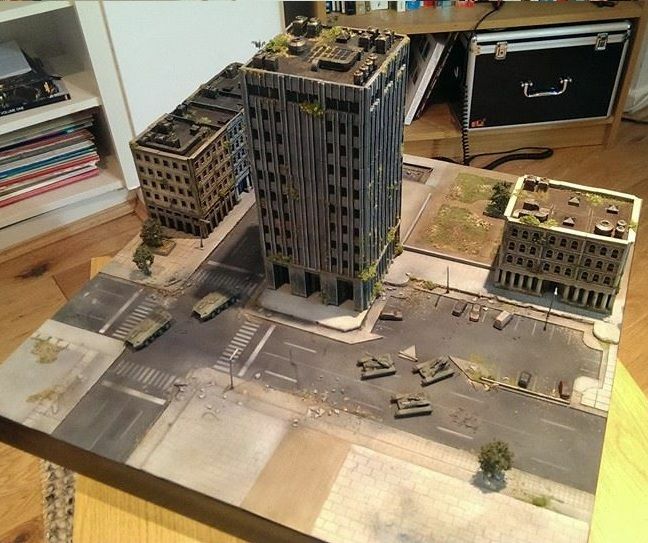 While 3D printed buildings are very cool, the hobbyist can get very good results with foam board, mat board, and styrene (after all that's what effects artists work in; you can always print specific details like roof chillers with the precision printer). I agree. If I was to do it again, I'd have got the Photon and not the Creality. Mind you, the creality will serve me well when I print some of the Box Set Minis at 3-4x the regular size (and yes I do have permission) as prize give-aways for future events I have planned. Right, the PHoton it is then. 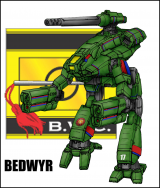 Miniatures were my biggest priority, due to the expense of adding to my Mech collection using just IWM minis (oi vey, my pocketbook...) Plus, the MWO minis do look pretty cool. Thanks for the advice, guys! Check out my Catapult in the Minis forum with missiles that were done on my photon.